Author and megachurch speaker Joel Osteen raised eyebrows this week when he wrote on his popular Facebook page that Moses was present to see the sun stand still under Joshua’s leadership and that he witnessed the Hebrew boys being thrown into the fiery furnace. The status received over 317,000 likes from his more than 8 million followers, and was shared over 52,000 times. A number of followers also agreed heartily with Osteen’s teaching in the comments section. However, some began to notice that there was something not quite right about Osteen’s statement: Moses was dead when two out of the three cited events occurred. A follower named Pamela also caught a third error in Osteen’s statement: Moses wasn’t seeking God for water in Numbers 11, but rather food. “Moses wasn’t praying for rain, the people of Israel were asking for meat instead of manna in Numbers 11:23,” she wrote. 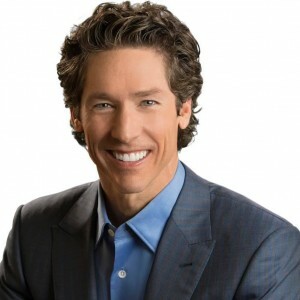 While all agreed that Osteen’s exhortation that “there is no limit to God’s power” is true, some were concerned about the megachurch leader’s knowledge of the Scriptures. But others were also concerned that hundreds of thousands of followers saw nothing wrong with Osteen’s post. “Oh man, 314,021 likes,” wrote a commenter named Alex. One follower asked that Osteen delete the post, advising that it would be “weird” to leave it online. The status now no longer appears on Joel Osteen Ministries’ Facebook page, but is accessible in a cached version. As previously reported, Osteen’s wife Victoria also came under criticism in recent weeks after a video clip surfaced of the “co-pastor” exhorting the congregation that obedience and worship aren’t as much for God as they are for self-happiness.